Silver (Ag) is one of the widely used nanomaterials in cosmetics, personal care, and household products. 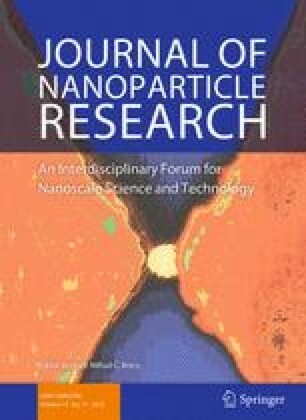 This research aimed to investigate the Ag concentration contained in 20 commercial nanoproducts using a simple and reliable procedure. The exposure and adverse effects of a single topical application of Ag on the skin were also evaluated. Herein, we demonstrated that the technique of wet acid digestion, extraction and detection of Ag with graphite furnace absorption spectrometry were effective for any and all nanoproduct matrices. The Ag morphology was characterized by scanning and transmission electron microscopy equipped with energy-dispersive x-ray spectroscopy. Penetration of Ag was evaluated using a polyethersulfone (PES) membrane through a Franz cell and reconstructed human epidermis (RhE) tissue. A skin irritation test was performed on RhE, an acceptable in vitro model which was in compliance with OECD test guideline 439. The results showed that the initial Ag concentration in the tested nanoproducts ranged between 0.0058 and 94 µg/g. However, particulate Ag was only found in two products, both of a liquid formulation. Silver penetration through a PES membrane (0.12–53 % by weight) was weakly correlated with the initial Ag concentration in each sample, but more so to the product formulation. The liquid products demonstrated the highest percent of average Ag penetration, followed by the semi-solid and solid formulations, respectively. In contrast, neither any Ag diffusion from these products into the RhE tissue nor any irritation or toxicity was detected. This study suggests a screening method to evaluate the Ag level in products and their potential adverse effects on the skin that could be incorporated as a part of risk assessment for nanotechnology products. The online version of this article (doi: 10.1007/s11051-015-3220-1) contains supplementary material, which is available to authorized users. This project was financially supported by Nanotechnology Center (NANOTEC), National Science and Technology Development Agency (NSTDA), and Department of Chemistry, Faculty of Science, Srinakharinwirot University, Thailand. Nootcharin Wasukan received Capital Projects TGIST Scholarship (Grant No. TG-55-17-55-055D) from NSTDA. We acknowledge Prof. Harald F. Krug (EMPA, Swiss Federal Laboratories for Materials Testing and Technology, Switzerland) for suggestions on the first draft of this manuscript. The authors thank Dr. Robert Butcher (Chulalongkorn University, Thailand) for comments and English language review. The authors claim no conflict of interest.